Most of you guys probably know that Ronnie Coleman just had another surgery. It was successful and Ronnie is home now but I know things are tough for the king. You know Ronnie can't keep himself out of the gym even when he shouldn't be. I wanted to let everyone write down some messages to Ronnie and I will make sure his manager gets them and gives them to Ronnie. I want him to know that we are with him and that we love him. Send him your thoughts and prayers guys! 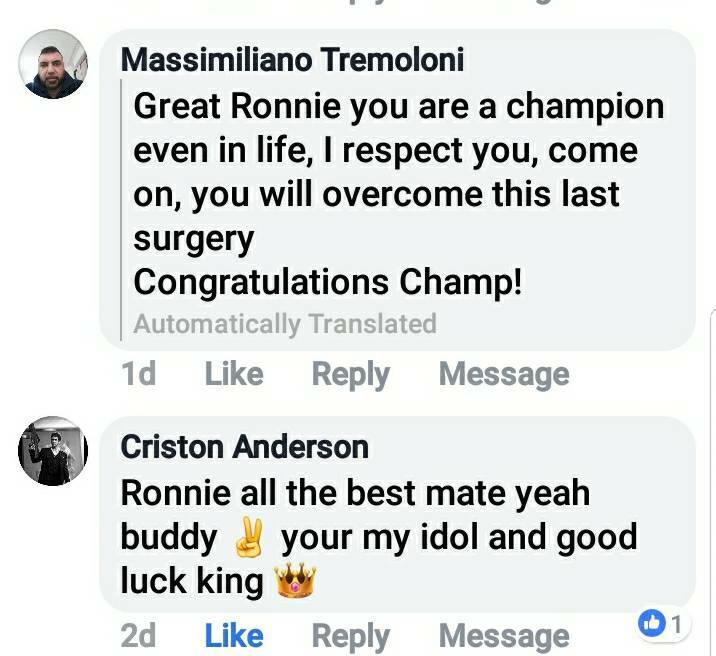 Get well soon Ronnie! It's nothing but a peanut!! Get well soon champ, YEAH BUDDY!! Take rest Ronnie and heal up! Stay out of the gym Ronnie! Get well! Will be praying for you champ. Stay strong Ronnie. Light weight! 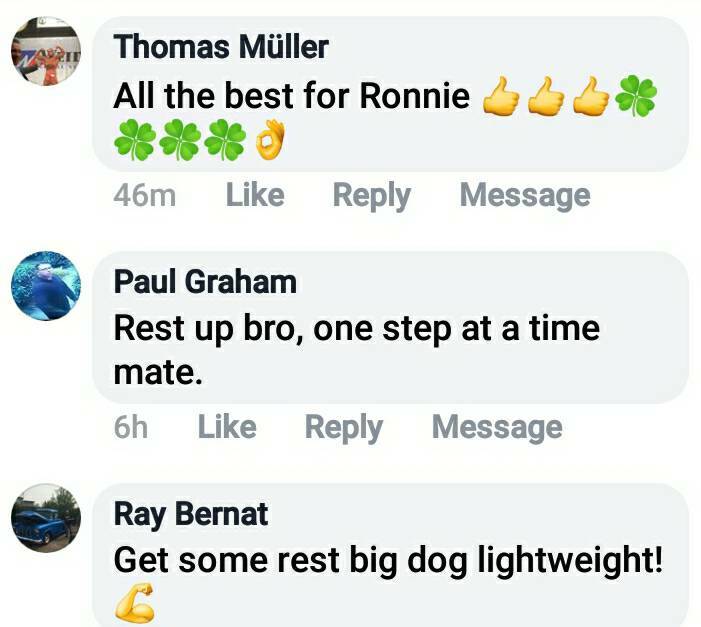 Anyone else want to send Ronnie a message? Having a head neck and spinal surgery myself, make sure you take it easy. I know it's difficult to stay away from the gym, but trust me, it'll be far worth it later. Get better soon big man!